This resort is located on a lagoon-like inlet facing the bay and just short boat ride to some of the best snorkeling in Bali. It is an ideal location for the retreat leader that seeks share one of the most beautiful areas of Bali. The ride from Bali’s international airport will approximately take 3.5 hours through one of Bali’s most photographed landscape in the highland of Bedugul. 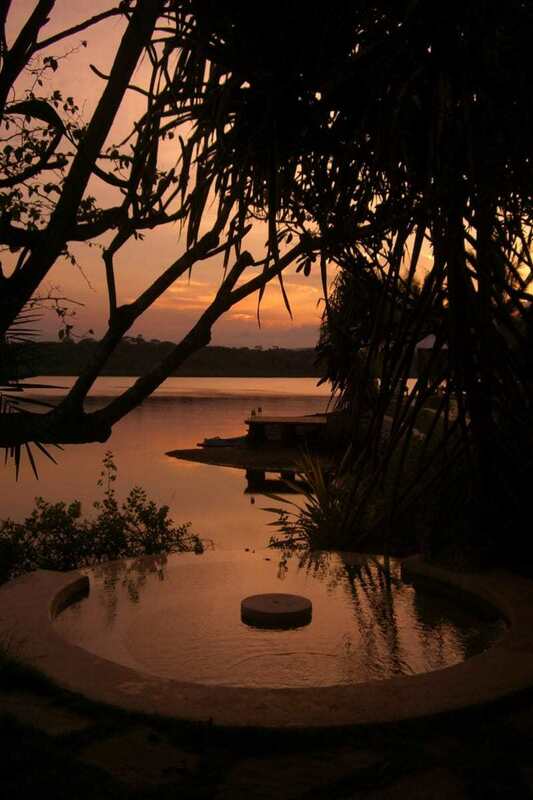 This venue is ideal for large groups and for retreats leaders that desires to incorporate activities in nature. This property provides the group leader with the option to offer different room categories and prices. There are 30 patio rooms that are facing tropical lush greenery. 5 of these rooms have adjoining doors with the next room. 15 of these rooms provide twin beds. The bathrooms are half-open with a small garden. Marble floors with high wooden ceilings compose the room. Room facilities include air-conditioner, mosquito nets, in-room safe, mini bars, telephones, private shower, and hair dryers. There are also 18 Court Yard Villas scattered along the garden pathways with water lily ponds in every corner. 6 of these Court Yard Villas come with twin beds. These villas are a blend of traditional Balinese architecture topped with thatched-roofs and offer a day-bed gazebo for relaxing. The entrance to these villas is private. Each villa provides their own en-suite bathroom fully equipped. Room Facilities include air-conditioner, mosquito net, in-room safe, TV, mini bar, telephone, private shower, coffee/tea maker, hair dryer, day-bed gazebo, natural hot spring bath. One of the features of this property are their natural hot spring pools which are great for healing. The property also features 2 swimming pools with lounge chairs and umbrellas. The restaurant is set facing east, perched on the edge of a secluded bay, while overlooking a natural park. The restaurant can seat up 70 people and offers a menu of international cuisine which offers– Western, Japanese, Indonesian, Asian/Chinese selections. The spa offers some of latest treatments and is a water healing sanctuary set adjacent to an ancient sacred hot spring. 9 m x 18 m which fits up to 50 people. 10 yoga mats can be provided upon prior request. 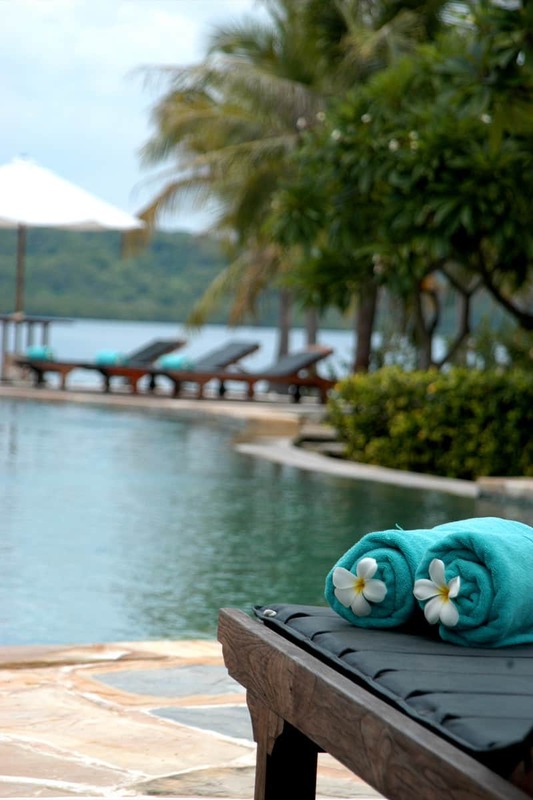 This area of Bali offers a lot of interesting places and experiences that will enrich your retreat. It is one of the best spots for diving and snorkeling in Bali, with a great variety in reefs. The sea is free of currents, making it an ideal place for swimming and just simply floating above the rainbow of colored coral reefs and fishes. Places like Barat National Park, the rainforest and waterfalls around Munduk or a trip the the Ijen crater offer memorable views and experiences. The area has some of the most important temples in Bali. 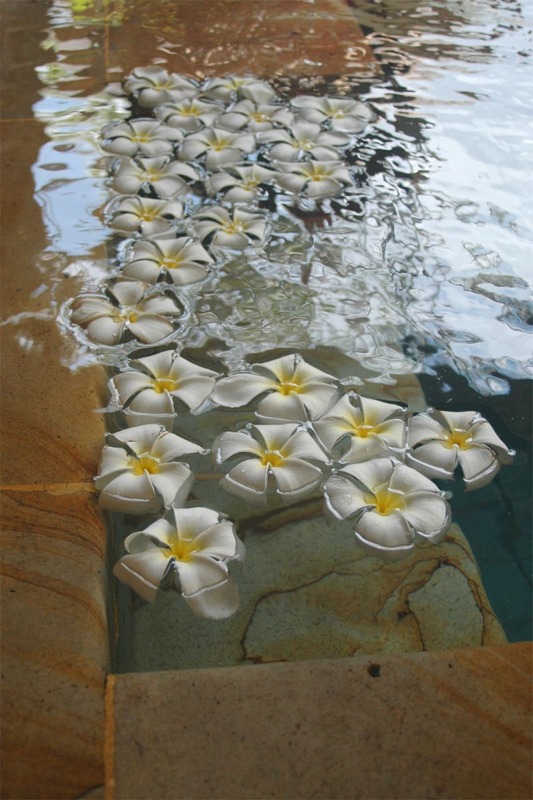 The Balinese are happy to welcome you at ceremonies and temples. In this part of Bali you can be part of these events without the tourist crowds like in other areas. Additional activities such as a pony ride along the coastal shores or even a hike up to the top of Beratan Mountain is a great way to see the sunset or moon rise. 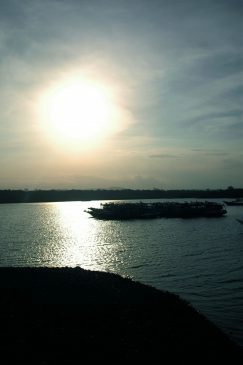 Because of its proximity, activities in and around Lovina may be combined with other activities in this area. If you wish to Host your Retreat in Bali at this venue, rates start at $103 USD per person / per day in double occupancy during low season.